In the last six years, Capcom has revived several classic games by releasing visually-enhanced games for the iOS and other mobile platforms, as well as mobile versions of recent releases like RE 4, Street Fighter and Devil May Cry 4. The company has also published games based on the various television and comic book franchises like Smurfs. Capcom Interactive’s mobile subsidiary, Beeline Interactive published two biggest social gaming hits in recent years – Smurfs Village and Zombie Café. Here are some of the best mobile games released by Capcom Interactive. This classic Gameboy Advance game can now be played on your iPhone, thanks to Capcom’s initiative to port some of its best oldie-goldies to the mobile platform. 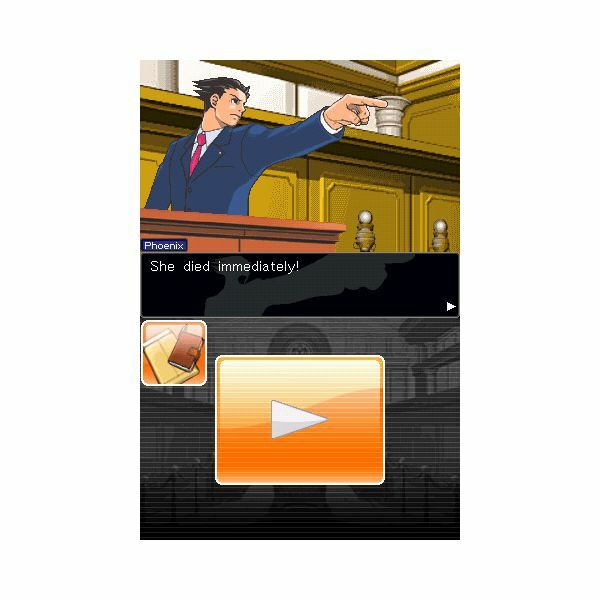 Phoenix Wright fans will remember how it was fun to play the original GBA version on the touch-screen enabled Nintendo DS. Well, the iPhone port offers a very-similar interface. You will find both the inventory screen and the top screen take up the entire screen space, making it very difficult to distinguish between the DS version and the current version. However, the iPhone game is more touch-screen friendly, allowing users to use their fingers effortlessly to interact with various in-game elements. The Phoenix Wright series of crime-solving games have always been fun to play. You hunt for clues, present them in court and get into a fierce argument with your rival lawyers to defend the suspect. While the game has little replay value, the lengthy courts sessions and sleuthing moments guarantee hours of fun. Before purchasing, I would recommend the trial version (1 free case). You can then upgrade to the premium version and download additional cases from the first game and other Phoenix Wright games as separate DLC packs in-game. If you are big fan of the Phoenix Wright series, then you should buy it. And if you haven’t played the game yet, I would recommend you to try the trial version and I am sure you will love it if you are a fan of mystery/detective games. 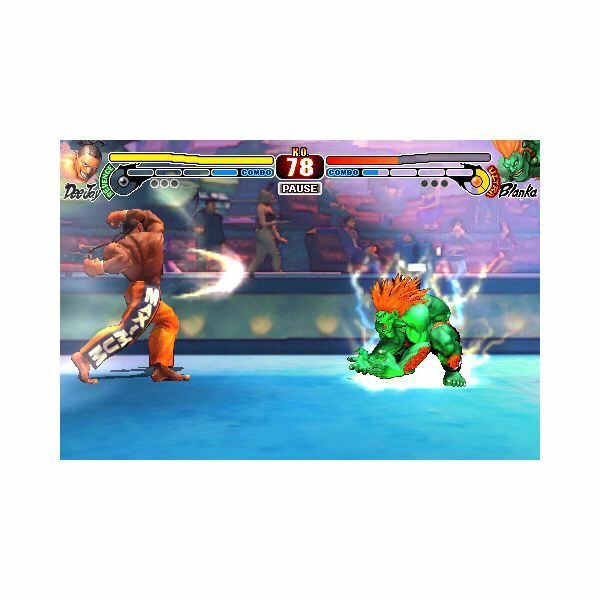 Street Fighter 4 is a must-have iPhone game if you are looking for a good multiplayer experience. With brand new characters and a solid combo system, SF 4 offers a memorable portable gaming experience. You can play against your friends via Bluetooth by choosing over 14 different SF characters and more than 10 different backgrounds. Before going head-to-head against your friends, you may have to practice a few kicks and punches in the “Dojo” boot camp. This tutorial mode will teach you how to customize your play style, and provides hints on combos and attack moves. Street Fighter 4’s arsenal of attack and defense moves guarantees a complete fighting package. You will have focus, unique attacks, super and ultra combos to execute and the super powerful SF button to unleash a destructive attack wave to vanquish your opponents. 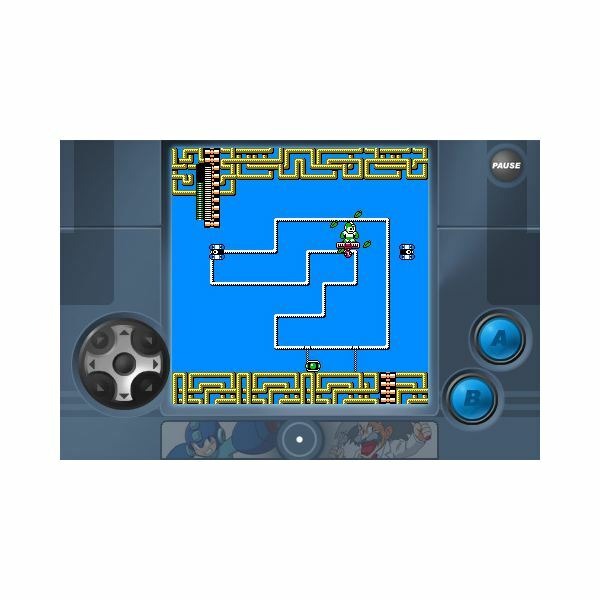 With four levels of difficulty, the game can get quite challenging even if you’ve mastered all moves. If you like online play and are looking for a total fighting experience, then download the game right away from the iTunes store. There’s no better way to go nostalgic than playing classic Capcom mobile games on your phone. And the best way to go down memory lane is to play some of the best Mega Man games on your iPhone. Yes, Capcom’s NES classic Mega Man II revives the most addictive platformer for the iOS platform with enhanced visuals and sleek virtual joystick and buttons that look impressively similar to NES controls. Mega Man II allows you to test your titular hero’s awesome platforming skills. You will have to help him make his way through dangerous traps, mech enemies and finally meets pixilated robots in boss mode. You will meet all eight robots devised by the evil Dr. Wily, from Bubble Man to Metal Man. Using the virtual joystick, you will have to move your hero and jump from one platform to another by pressing the R button. However, you may have trouble with the joystick controls and may wish to have a more precise control to move and jump, since Mega Man is all about platforming. A little bit of practice helped me to overcome the control hassles slightly, but the control scheme still needs a bit of improvement and I hope developers will work on this aspect. All in all, Mega Man II is a must-have if you, like me, are a big Mega Man fan. Most Capcom mobile games are plain ports of NES, SNES, GBA, DS, PC or Console video games. But Monster Hunter: Dynamic Hunting is far from being a port, though the mythology and concept is similar to the original series. The refreshing approach to gameplay and multi-touch-friendly controls provides an addictive and engaging experience. 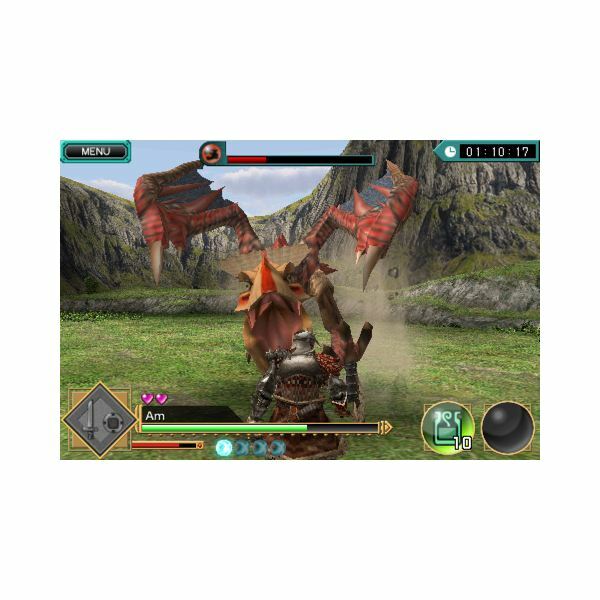 You play the role of a monster hunter and have to slay down a variety of monsters using powerful weapons. Using the standard finger gestures, you can execute various offensive and defensive moves. A swipe here and a tap there won’t necessarily make you slay the virtual monster; you will also have to learn some complex moves via the tutorial mode. Dynamic Hunting also provides a variety of equipment for your monster-slaying pleasure. You can also collect different items dropped by slayed monsters and then combine them to create new weapons. The game looks quite good and a bit RPG-ish, but sadly Monster Hunter is a short game. There are only 12 monsters to fight against. Sure, you can play the game again to unlock any of the items that haven’t been unlocked. But a few more monsters and additional quests would have been fun. Overall, Monster Hunter: Dynamic Hunting is a good solid game, albeit a bit on the short side. Rearmed (a re-imagined version of the 1980s classic Bionic Commando), rearms Spencer with the grappling hook and tasks him to destroy the nefarious plans of the Imperial Army. The plot is similar to the original game, with visuals and sound effects enhanced to provide a solid mobile gaming experience. Using button controls, you will guide him through pitfalls and obstacles with the help of the gadget attached to his arm. Rearmed focuses on Spencer’s grappling hook, which he uses to swing from one platform to another. You will have to press a few keys on your phone to fire the hook vertically, horizontally or while in a crouched position and then press the # key to go up and swing from side to side. Remember the game is more about platforming and quick reflexes to dodge enemy guards than killing every baddy patrolling the enemy encampment. Maneuvering a character by pressing mobile phone buttons or virtual keys can be a bit difficult. Except the controls, everything from gameplay to graphics is impressive. 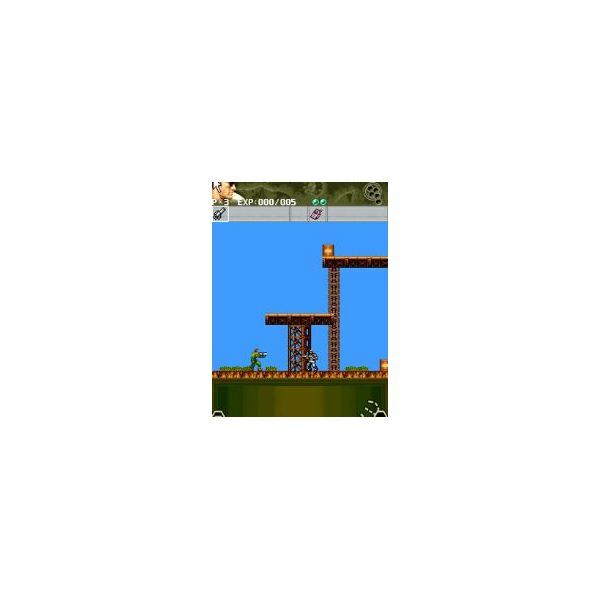 Bionic Commando: Rearmed was released by Capcom Mobile for the J2ME (Java Platform, Micro Edition) platform. Players can play this game on their Symbian Smartphone. The iPhone version of Devil May Cry 4, like Resident Evil 4, is great gameplay-wise. But the rather complicated control scheme can make it difficult for you to execute combos. Sure, you cannot compare the game with the original, but a simple control scheme would have surely made this game less-complicated. Refrain has a nice ten-mission story that blends action and puzzle-solving elements pretty well, though the occasional puzzles are simple and require plain logic. The hack-and-slash action is impressive. You will have to juggle through three different buttons to slash and shoot weapons. But you find it difficult to execute a combo attack because there is not target system in the game. While some of you may point out the lack of a good combo system, the game still scores well in simple hack-and-slash gameplay. The visuals are okay, but look pixilated on iPhone 4. 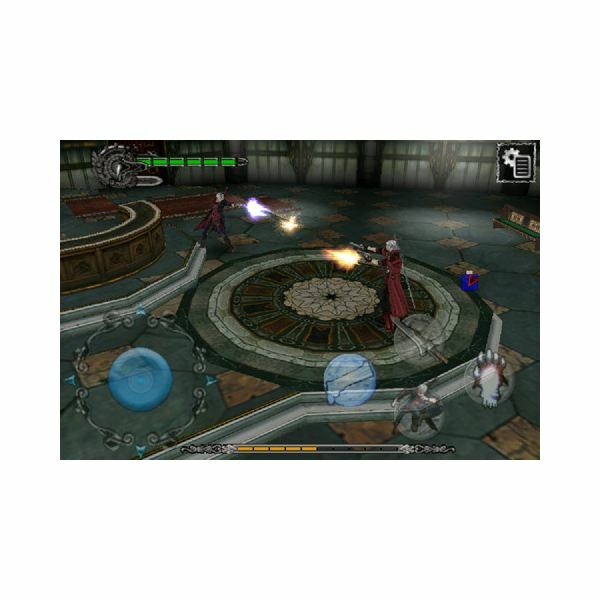 Overall, Devil May Cry is a good mobile phone version of the original game. 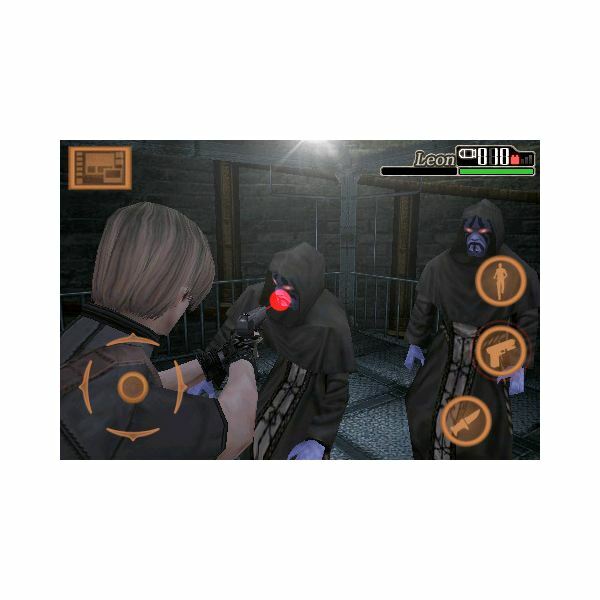 Resident Evil 4’s mobile version is a nice attempt by Capcom Mobile. It offers the same level of excitement on the small screen. The game boasts excellent 3D visuals and decent animation. Sure, the textures are not as good as the PC or console version, but the overall visual effects are quite impressive. The camera view is typical PC – over-the-shoulder third person view, which offers enough scope to shoot down zombies coming from all sides. The linear levels offer plenty of scares and surprises. The plot is same as the original game, but developers have cut down on lengthy cinematic clips and other stuff, instead focusing more on action, keeping in mind the main plot and objective. The old school score-attack approach is well implemented, and is a perfect mode for the mobile platform. The game has plenty of unlockables, adding more depth to gameplay. However, the virtual joystick may seem a bit difficult at first, especially with the character movement, but aiming and shooting is quite quick and accurate. Overall, Resident Evil 4 provides a good dose of shooting fun usually anticipated from a mobile version of the original PC or Console hit. Along with Smurfs Village, Zombie Café is one of the most downloaded and played social games on the iPhone. Café World players won’t find anything different in the concept, except the food served and some variations in gameplay. Yes, the meals served at the café are outright bizarre, and with the undead theme, expect more recipe surprises. You will prepare food with the stomach-churning recipes and serve them to your customers. You will also have to manage your restaurant, making sure every zombie helper is fit and not tired. Should the health meter deplete, the zombies will wreak havoc and begin attacking customers, which is surely not good news revenue-wise. The funniest part is that you can send your zombies to attack other restaurants if you find them competing against your restaurant. Another aspect that makes Zombie Café a good social game is the simple UI. You will immediately get used to the controls and the objectives. There are plenty of gameplay surprises, including plenty of ghoulish recipes, unlockables decorative items and other virtual goodies. You can connect with your FB buddies and form a franchise by sharing recipes and collecting fees. With the undead theme, some nice additions and good visuals, Zombie Café is as entertaining as Café World. Developed by Beeline Interactive (Capcom’s mobile subsidiary), Smurfs Village is one of the most addictive social games for the mobile platform. Smurfs is a popular comic and television franchise first created by the Belgian cartoonist Pierre Culliford, (Peyo) in the late 1950s. The social game is based on the original cartoon strip and is one of the most downloaded and played social games on the iPhone. Smurfs Village lets you build your own village from a lone mushroom house and interact with your friends by playing mini-games and buying stuff that can upgrade your village. The app is free to download, but requires in-app purchases for additional houses, crops and equipment. The key strength of the game lies in its gameplay. It never lets you feel bored, thanks to the variety of mini-games and activities offered. You can connect with your friends via FB or Game Center and send gifts and interact with them. You really don’t have to be online every time, you can easily manage your virtual Smurfs Village with connecting to the Internet. The artwork and graphics are colorful and vivid. Taking advantage of iPhone 4’s retina display, the game offers crisp graphics. 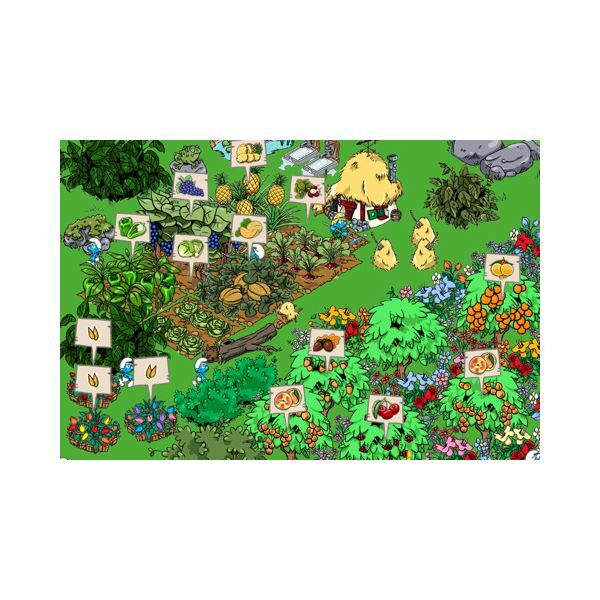 All in all, Smurfs Village is a perfect game for players who like farm-themed games and are looking for a good social game on the mobile platform. The high-flying arcade classic looks great on iPhone. 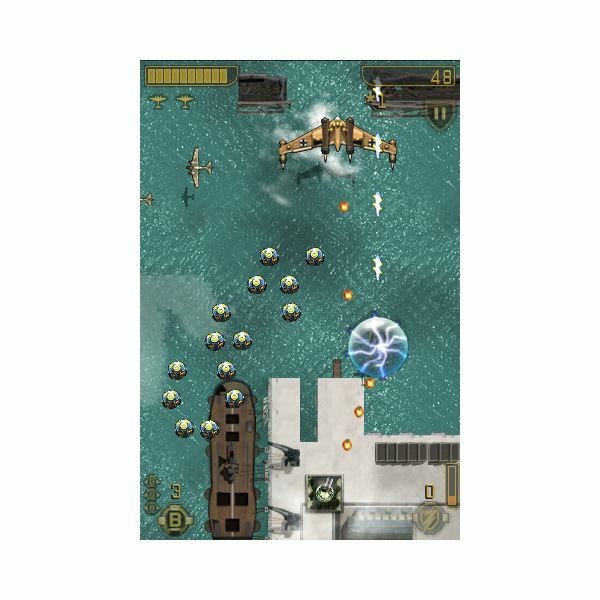 The re-imagined version of the classic 1942 allows you to battle against hordes of battleships, bombers and enemy air fighters. The game takes advantage of your iPhone’s accelerometer, allowing you to tilt your device to steer your air fighter. You can also steer directly using iPhone’s multi-touch screen. I would recommend using the standard finger gesture to move your fighter plane, as the accelerometer-based controls can be a bit difficult, especially when several air fighters and battleships attack and you have to maneuver and attack all at once. You also have two virtual buttons located at the bottom of the screen that help you unleash special powers. In this mobile version of 1942, the action is a bit de-emphasized. If you compare it with the arcade version, you will find battles more fast-paced. The slow-pace battle and health meter probably compensates for the difficult controls. I loved the slow-paced action, because I can understand that mobile versions cannot compete with consoles and PCs because of less space for controls and small screen estate. The game has some replay value you have three different aircrafts to choose and play. You can complete all 8 levels with one aircraft and then choose another aircraft. The latest version of 1942: First Strike has several updates. You can play additional levels after updating your iPhone. Everything from the new environments to enemy units will charm gamers and Capcom fans alike. All in all, 1942 is recommended for all action game enthusiasts and those who love to play classic Capcom mobile games.